I'd really like to write about Landberk in the present tense, but I've had it pretty much confirmed that they've followed their countrymen Änglagård into oblivion. I spoke to their chief mover and shaker, bassist Stefan Dimle, in 1998, and he didn't say anything about a split, but they seem to have just quietly faded away, sadly without anyone really noticing. Maybe that was the problem. 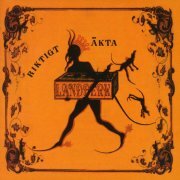 Anyway, Landberk are generally regarded as being the least-known of Sweden's early-'90s triumvirate of 'trad prog' bands, along with the aforementioned Änglagård and Anekdoten. All three bands started around the same time, and they all discarded the changes made to progressive rock in the '80s for a more 'fundamentalist' approach to the style (thank God); organs and Mellotrons are strictly the order of the day. 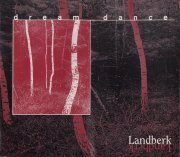 Unlike Änglagård, Landberk's approach is relatively simplistic, relying more on the (slow) groove than complex instrumental interplay. Their first album was originally released in its Swedish-language version, Riktigt Äkta, which they re-recorded in English as Lonely Land. These appear to be two entirely different recordings; the Swedish version plays flatter and has a rawer sound than the English, and both albums have different bonus tracks, making them both essential for the aficionado. 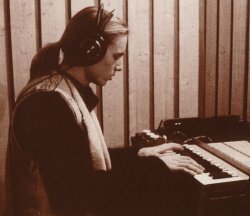 I Nattens Timma/Waltz Of The Dark Riddle is something of a 'Tron classic; Mellotron flute (underpinned with cello) and vocal, with the 'Tron (played by Simon Nordberg, incidentally) switching to strings halfway through each verse, coupled with a haunting melody that could only be Scandinavian. 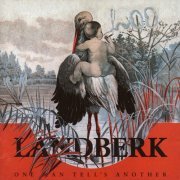 The rest of the album carries on in a similar vein, although there are a couple of slightly more upbeat numbers; Landberk were nothing if not melancholy, to the point where they made their aforementioned contemporaries sound like quintessential party bands. Well, nearly. There are too many highlights to name, but the 'Tron strings on Undrar Om Ni Ser (redolent of Crimso's Epitaph) are really quite superb. One of the band's strengths was not overusing the 'Tron, although it would've been far too easy to have smothered the whole thing in it. Admirable restraint, and a great album. 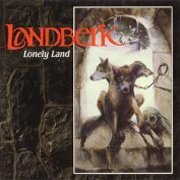 Unlike previous efforts to 'do an English version' (PFM, Kraftwerk), Lonely Land works very well indeed, with Dimle and Nordberg's lyrics translating well, assuming they are straight translations; some of the titles certainly are. Aside from the slightly brighter sound, the album is very similar to Riktigt Äkta, to be honest, although the English lyrics put a different slant on the material for the English-speaker. The other chief difference between the two versions is the excellent cover of T2's No More White Horses, complete with the Mellotron missing from the original. The bonus track on the Riktigt Äkta CD, Tillbaka (a cover, apparently, though I don't know of whom), hasn't been re-recorded, so you really need both of these. 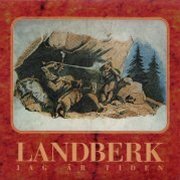 Now, I've been under the impression for some years that Landberk recorded their second album in Swedish, too, titling it Jag är Tiden, but after a lengthyish online search, I've come to the conclusion that every mention I've seen of this title actually refers to the 3-track EP they released in '94. One Man Tell's Another (sic), therefore, is the only version of their second album ever recorded, despite the Swedish-language EP versions of two of the songs. Noticeably more rhythmic than their debut, One Man is decidedly 'artier', both in sound and packaging, and marks the ascendance of Reine Fiske's guitar in the band's sound. There's still plenty of Hammond and Mellotron to be heard, but it sounds to me as if the guitar took precedence during the album's writing sessions, particularly in the rhythm department. Album highlights include Kontiki, Valentinsong and the sublime Tell, also the album's Mellotron classic, with a superb chord sequence in the 'chorus' and a fantastic conclusion where Nordberg holds a dissonant chord, then flicks the track selector across all three sounds until the tapes run out. In fact, the 'Tron work throughout is excellent (again), with Tell being only the tip of the iceberg. Superb. The Jag är Tiden EP is probably less essential, being Swedish-language remixes of two of the album tracks, with the fairly ordinary Marie & Anna being the only otherwise unavailable track. While not a bad song, it's the sort of track that would get itself lost about halfway through an album, and probably isn't worth splashing out a fortune for, although it has a typically nice 'Tron part. Unaffected's a bit of an odd one; when I spoke to Stefan Dimle about it, he laughed and referred to it as a 'bootleg', although other people have refuted this, so it's difficult to know what to think. It sounds like a soundboard tape to me, with the vocals sometimes too high in the mix, while the sleeve lacks the professional sheen of the band's official releases, but it's been so widely available, unchallenged by the band, that I feel compelled to include it. n.b. Mauro Ranchicchio tells me that it was supposed to be given away free with issue #6 of 'Melodie & Dissonanze' fanzine, but the mag went under after issue #5. As the CD had already been mastered (and manufactured? ), it was sold through shops instead, although it would appear that the band had no say in this state of affairs. Anyway, the band are playing in front of small club audiences in Italy and Germany in early '95, with vocalist Patric Helje singing in both Swedish and English. Many of the songs are extended versions, giving the band room to relax and stretch out a little, making a change from the also valid 'straight copy of studio version' outfits. 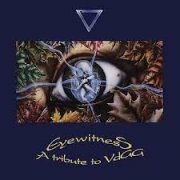 The one outstanding performance included here is the opener, a great, Mellotron-driven version of Van der Graaf Generator's Afterwards, from The Aerosol Grey Machine, the Peter Hammill solo project that somehow ended up as the first VdGG album. In fact, thinking about it, Van der Graaf are one of Landberk's more obvious influences, although without the shouty bits. Anyway, most of the rest of the songs are from Riktigt Äkta/Lonely Land, mainly with 'Tron parts intact, although strangely, neither Pray For Me Now or Song From Kallsedet have any Mellotron at all, with the band presumably preferring Nordberg's Hammond drones. Whether or not Unaffected is 'official' isn't that relevant, really, especially with the band having gone the way of all things, so, generally recommended. The Dream Dance EP appeared in time for the band's 1995 Progfest appearance, previewing two of the tracks from the following year's Indian Summer. Actually, All Around Me is a different version, though not as different as the rerecording of the first album's Waltz Of The Dark Riddle, which utilises a string section instead of the original's Mellotron. Indian Summer itself continued Landberk's transition to art rock as against prog, interrupted by their eventual split. OK, I suppose it isn't that different to their first two albums, but there's a shift somewhere in their sound which suggests that they could, given time, have, er, 'progressed' away from progressive rock entirely. Now, there's an oxymoron for you. Bizarrely, I've seen an online review of this album that states 'no Mellotron, but more modern keyboards'. Hmmm. So what, exactly, is making the Mellotron sound on half the tracks? Of course there's Mellotron on it, although less than on its predecessors, and I don't hear anything more 'contemporary' than, er, a Hammond, to be honest. The 'Tron work is up to usual standards, although no one track leaps out at you and says 'I'm a classic'; a worthy addition to their oeuvre, however. 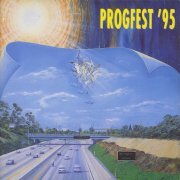 A final release containing Landberk's music is the official double CD of 1995's Progfest, titled, funnily enough, Progfest '95. As with Anekdoten's set from the previous year, it would be good to hear the whole of their set, but that seems rather unlikely now, so we'll have to make do with the three tracks on offer. Good run-throughs of all three, but nothing you haven't heard before, to be honest; sounds like the same Mellotron parts as the studio versions, too, but worth hearing if you were going to buy the set anyway. So... What to buy? All three English-language studio albums, followed by Riktigt Äkta and Unaffected. You'll be hard-pushed to find either of the EPs now, but they're worth it if you've already got the other stuff. I wouldn't call this stuff exactly 'symphonic', but it should appeal to progressive fans with slightly more open minds. The debate over whether or not Unaffected is actually a bootleg continues not to rage in the slightest. However, another 'is it/isn't it?' recording has turned up (thanks, Sven): Live at Studion (with an optional '1st June 1993') was apparently a highly limited cassette-only release from the Tanelorn Post in '95, so I'm really not sure whether or not it falls under the 'bootleg' category, or should be regarded as an obscure semi-official release. For what it's worth (probably not very much), Rate Your Music call Unaffected 'official' and this 'unofficial'. It's a fine line, is all I can say. The title's a slight misnomer, actually, as only the first five tracks were recorded at Studion in June '93, while Riccochet's from the Black Horse Inn the February before and Tillbaka Till Naturen's from Sunlight-Studion, September '91, right at the beginning of the band's career. But is it any good? Well, the sound quality's horrible (in fairness, that could just be my copy), but the tape gives some fascinating insights into the band's early sound, more 'early Floyd' than 'early Crimson', showing their psychedelic roots for all to see. We get three previously-unheard tracks, the best of which is probably the lengthy Ett Träd, although brief, propulsive opener Eklunda Polskan is worth hearing, despite the abysmal sound quality. Mellotron? After two 'organ only' tracks that made me wonder whether they had not yet bought their machine, it finally appears on Vår Häll, with chordal string and flute parts, background strings on Ett Träd, flutes and strings on Undrar Om Ni Ser, very background strings on Riccochet and upfront strings and flutes on the studio take of Tillbaka Till Naturen. Are you going to find this easily? No, frankly, but Landberk fans will want to track a copy down, if only to hear the otherwise-unreleased material.